Countless members of the cloth now wear Juliet’s ecclesiastical vestments, including three Archbishops of Canterbury – George Carey, Rowan Williams and Justin Welby. 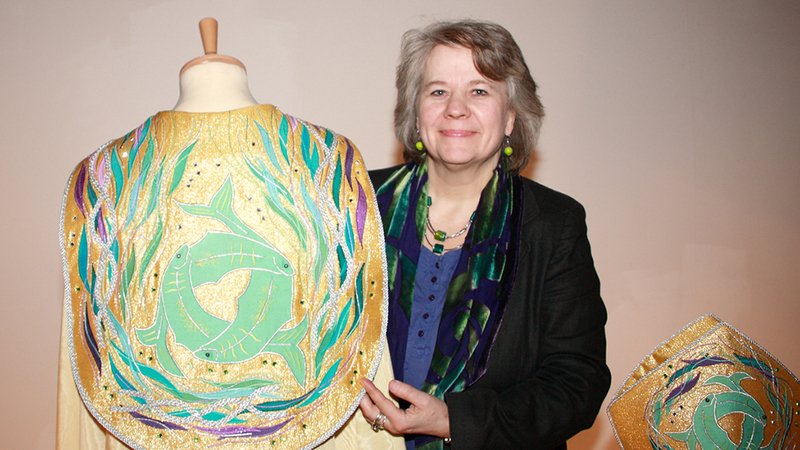 The colourful robes worn by the Archbishop of York, John Sentamu, at his enthronement were also made by Juliet and her talented team, in collaboration with Watts & Co.
‘Over the years we have made more than 30,000 stoles, with countless banners, altar frontals and pulpit falls now in schools, chapels, churches and cathedrals around the world,’ said Juliet, a dedicated exhibitor at CRE since its inception. If you’re not in the market for an alb or a chasuble, Margaret Wylie’s Holy Socks may bless your sole.